Bonfire. 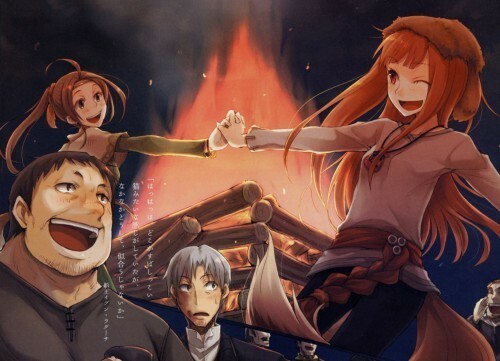 Holo & another girl dance around a bonfire while Laurence & another guy watch them. Wallpaper and background images in the Spice and lobo club.